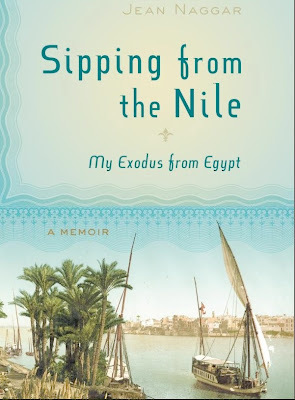 Jean V. Naggar has written a beautiful memoir, Sipping from the Nile: My Exodus from Egypt. If that name rings a blog bell, it’s because she’s my agent. Jean founded her well known literary agency, JVNLA, 30 years ago in NYC. Now she has published a book! 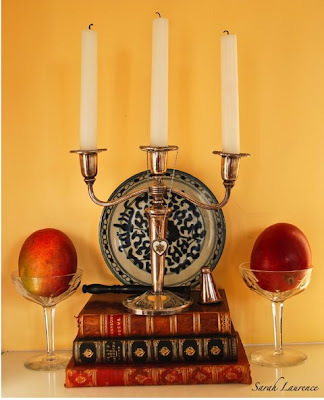 Jean’s very personal story is of a lost world of Sephardic Jews in Egypt. Biblical history repeated itself when the Jews once more had to flee Egypt. Jean was eighteen when shots rang out in Cairo. Before expulsion, Jean and her extended family lived in a palatial home overlooking the silvery Nile River. The sky was almost always clear blue. Her childhood tasted of ripe mangoes, smelled of jasmine and sounded like the U.N. Her family spoke English, French, Italian, Hebrew and household Arabic. Jean was educated in England at Roedean and at the University of London, but Egypt was her home. Jean walks you through the grand marbled halls leading to rooms with Arabic walls, oil paintings, mother-of-pearl inlaid furniture, well-thumbed leather-bound books and Venetian glass chandeliers. The balconies overhung a secret garden of tropical paradise. Jean’s Eden even had serpents! Her family enclosure in Cairo had its own synagogue that hosted local weddings and services. Jean’s family was full of unforgettable characters like her outspoken Auntie Helen who collaborated with the fledgling Zionist movement to help create the State of Israel. Breaking convention, Helen never married. When she discovered Jean’s love of writing, Helen passed on her Olympus typewriter and shared her fabulous book collection. She was clearly a great influence on the future literary agent/author. Then there is Jean’s mother, Joyce, who was so beautiful that she had to flee from a king’s unwelcome attention. Joyce’s milk white complexion, burnt sugar eyes, auburn hair and charm allowed her to rise to the cream of Cairo society. There’s a photo of Joyce in a Nina Ricci gown looking like a fairytale princess. The narrative is interspersed with photos of family, ornate chambers and old images of Cairo. On these wintry days that aren’t breaking freezing in Maine, what a treat it is to lounge on the banks of the Nile! Jean spins a soothing tale of a happy childhood in a loving family. I won’t say any more because I’d only cheat you of the rich detail. Her words flower and bloom like the lush gardens. 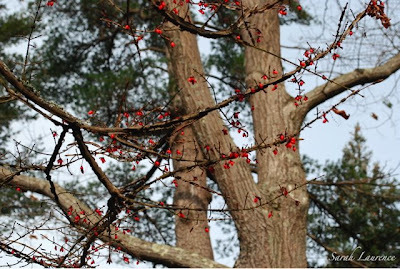 My garden in Maine is bare but for the red berries on the burning bush. I was sad to reach the final page of Sipping from the Nile. A memoir is like a blog except that it has an end. I wanted to hear how this happy child of Egypt became one of the most respected and toughest agents in NYC. How did Jean find the strength and the courage to start over fresh in a foreign country? Jean has lived the American dream. She was a young immigrant who crossed the Atlantic Ocean to marry a boy from her past. 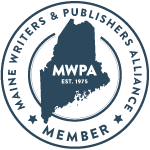 Sixteen years later Jean created a successful literary agency while raising three children. She is now also a very hands-on granny of seven. Jean longs to work on the garden behind her brownstone office in Manhattan. Her energy amazes me. Jean Naggar’s Sipping from the Nile is available only on line. Shipping can be slow so order ahead. It’s a good read for Hanukkah. My mother really enjoyed this memoir too. Congratulations, félicitations, brava, mazal tov and mabrouk, Jean! Photo of Jean Naggar by Serge Naggar. Blog Watch: next week I’m hosting a Blogger Book Boost in support of books as holiday gifts. The inspiration came from a discussion on holiday shopping at Bee Drunken. I’ll have instructions in my next post on Wednesday December 3rd. Happy Thanksgiving and Good Reading! 2013 update: this memoir is now published by Amazon. Also I've switched agents to one who represents YA. Jean sounds like a really neat person-to be a literary agent for 30 years and now write her own book. It must be a different feeling being on the other side of the operation now. You describe her book so well, yes I bet sipping from the Nile on those cold days up there is very nice. Nothing better than curling up with a good book, and a nice cup of tea on these cold days. Have a Happy Thanksgiving! The minute I read the first lines of your post I had to go to youtube and play a couple of videos by Yasmin Levy, another Sephardic Jew who has raised awareness of the rich cultural legacy of this often forgotten group through her albums. Jean's life feels like a fairy tale, but not the traditional type, a more modern and realistic version. I clicked on your link to the Amazon site, read the first page of Jean's book, and now I'm hooked. Memoirs of immigrants have a special attraction to me. I finally convinced my dad to write his after listening to his fascinating stories for many years. I'm working on my mom to write hers so that I can have her perspective too. Thanks again for a great review. I hope you and your family have a wonderful holiday! That's a very warm review. Life as an immigrant will have been tough to start with. And to have established a successful agency only goes to show the mettle she is made of. However it must be difficult to be uprooted so, and the community as well, more so when the memories are so rich as to be poignant in retrospective. I'm looking forward to your Blogger Book Boost. 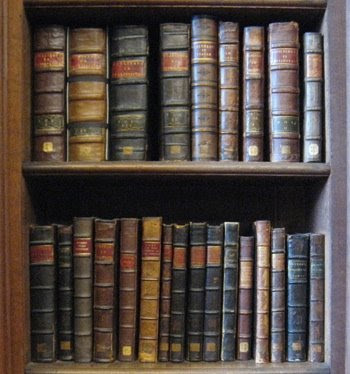 I've already purchased lots of books for Xmas presents (some of them from the Oxford Press store in Oxford, of course). This sounds just delightful. I shall add it to my list for wintertime reads! And, the cover is sublime. Best wishes for a most happy Thanksgiving. From both of us! Tina, becoming an author has made Jean a more empathetic agent. You are so right: a cup of tea with a good book by the fire is the best way to relax at this time of year. JAPRA, I love the image of book stacks under a Christmas tree. ACIL, I’ll have to check out Yasmin Levy. I like your observation about modern fairy tales. Jean’s story certainly is one. W2W, thanks for pointing that out. The first 4 page feature on Amazon is almost like being in a bookstore. It’s a good idea to write down family histories and even more wonderful when they become books. Anil, I’ve been thinking of you after hearing about the horrible terrorist attack in India. Through blogging, the world seems smaller and the tragedies more personal. I wonder how globalization changes the immigrant experience. Bee, thanks for the recommendation as they sound like similar memoirs. The aim of my Blogger Book Boost will to link together lots of good book review/recommendations for holiday shoppers and vacation readers. I’m looking forward to hearing your list. Pamela, Jean’s book is beautiful with the gorgeous cover, appealing graphics and old black and white photos. Very interesting story. I'm developing a list of biographies to recomment to a former student of mine whose now happens to be the small town librarian (as in "Marian the Librarian." Mrs Troutbirders best friend just returned from a Nile cruise and we saw her pictures. Interesting but then again quite superficial. Thus my preference for history and biography. Troutbirder, definitely add Sipping from the Nile to the list. It is the opposite of superficial. You finish this memoir feeling like you’ve lived a life you never could have imagined. Sarah, I agree with "Just a Plane Ride" that you write wonderful book reviews. This sounds like such an interesting book; I'll have to check out her website. I like your idea of a "Blogger Book Boost." My grandkids know that at least one of their Christmas presents from me will be a book. Thanks, Rose! We all share a love of books, and I’m eager to hear your recommendations for both adults and kids. A participant in Blogger Book Boost can either recommend a book(s) in the comments or link to her/his own blog post with book suggestions and/or reviews. It could work like Garden Bloggers Bloom Day only my post will be up for a week. Sarah ~ First, I hope you and your family had a wonderful Thanksgiving. I am certainly thankful to have you as a blogging friend because you always give me something interesting to read and your book recommendations are so intriguing. I am looking forward to this week's post. Sarah, this book sounds great . Cindy, yes we did have a good Thanksgiving, and I’m very thankful for your blogging companionship as well. Jan, that must have been a fun trip to take. Books do make great gifts, and this one sounds like a good match for your friend.